Here I shall teach you the concept of CAUSE and EFFECT in 'communicative grammar’. Again, this type of grammar is for speaking English. In other words, you decide what it is that you want to say and this type of grammar will give you the model of how to say it. Do you like the idea? 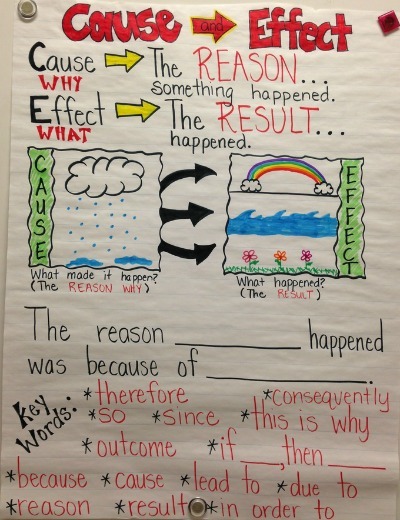 OK - So, what is 'CAUSE and EFFECT'? - Something happened BECAUSE OF ..... a cause or another: "They went home because her mother was ill."
- This or that will MAKE/CAUSE something else to happen: "If you water the plants regularly, they will grow fast." This is probably the first expression children learn at school, or catch from their parents: "... because I say so!". However, I would advise you to reduce its use to the minimum, if you can. "[The driver was angry] [(because) two passengers were late.]" "[I bought the book] [(because) it is on my reading list.]" "[(Because) he broke his arm], [he had to be hospitalised for 2 weeks!]" Note how you don't have a clause here, to express the cause: the second part doesn't have a verb, so it's not a sentence/clause - it's a noun, with a preposition in front of it. "He couldn’t get to work in time because of a flat tire on the way." "She couldn't sleep the whole night because of her worries!" "They went to the seaside on holiday, on account of having earned a good bonus for the previous term." "He slapped me, out of frustration." "He went to visit his grandmother in the hospital, not from/out of necessity, but from/out of a sense of duty." "He missed two races through injury." "Kids make mistakes through ignorance - they need to keep learning." "She rushed to the train station, with great anticipation."